For nineteen years, La’tiera has been groomed for one purpose: to die at the appointed time to save the world. Her life has been carefully sheltered in the royal house by the viscount, whom she calls uncle. As the day of sacrifice draws near, La’tiera’s cloistered life is shattered when she discovers the tiny face of a little girl named Aya hiding in her secret garden. When Aya and her friends, traveling entertainers, kidnap her, everything La’tiera has come to know and trust begins to unravel. This is the dilemma Gloria Oliver creates in her book, Willing Sacrifice. It is an interesting read for those interested in the fantasy that Oliver presents. However, action and adventure are limited because the emphasis is on characters and themes. It is more a novel of manners set in another world with different morals and ethics and a cast of colorful and memorable characters. I found the book had a depth beyond the simple telling of a good story. It is a well-written exploration of religious belief, self-discovery, and love. The book presents a simple rendering of the power of doubt and hope, revealed through narrative and symbolism, whether intentional or not. It is an allegory. For example, what the reader sees of La’tiera at the beginning of the story could be painted in drab tones, with dark interiors and dark scowls. When Aya comes into her garden, almost like the snake in Eden, offering knowledge, the world takes on light and color. Aya brings life and joy and the concept of fun as she plays the games of childhood La’tiera has never known and offers her a world she has never seen. I haven’t read a novel in a great while that offered so much literary fodder in such a simple story. If I were an English literature teacher, I’d want to put Willing Sacrifice on my list of books to read and analyze in detail. It is destined to have lasting value. La’tiera lives in a unique world, where she knows that one day she must sacrifice herself for mankind to survive. She lives locked away in a castle, where she’s protected from strangers. However, one little girl from a traveling troupe of entertainers discovers a way inside the fortress. She meets La’tiera and tells her troupe all about her. Could she be the one they have been searching for? Without hesitation, other members of the group believe that she’s the girl who will save the world. The group kidnaps La’tiera for her own safety. They speak of another solution besides sacrifice, where La’tiera must live in order to save mankind, rather than die. As much as La’tiera grows to love her friend and admire the people around her, she knows what she must do. Who is telling her the truth — and can she figure out her destiny before it’s too late? WILLING SACRIFICE is a unique tale that fantasy readers will certainly enjoy. To save the world she must die! La’tiera is the beautiful and young Bearer of the Eye, a birthmark that signifies her as the savior of the world. Her birth, 19 years ago, began the latest Time of Trial. Now, the Herald, a fiery comet that is coming closer and closer to their world, has everyone scared, not knowing the exact time when the portal will open and whether they will live to see tomorrow. allowed to tell any stories of the Four Gods. Before long, the sprite known as Aya, a playful, fun-loving little girl discovers La’tiera. They quickly become friends, even if La’tiera is a bit scared for Aya’s safety. But the thrill of having a friend and meeting someone new prevails. Aya suspects that the large necklace La’tiera wears is covering something up. She tells Dal, a tall, dark and handsome performer who makes his way into the garden. It frightens La’tiera, but excites her. She becomes infatuated with the young man who spins stories for her. Once Dal confirms his suspicions with Rostocha, the leader of the group and the other members, they kidnap La’tiera. They are only wanting her to be safe and to get the necklace off of her so the Eye will develop properly in the remaining few days so she can save the world. But they are taken aback when they discover what she has been taught and that she believes she must kill herself. It’s a hard road trying to convince her they are right and her uncle is up to something. In the interim of her semi-imprisonment, she learns to live as she meets villagers, watches the troupe perform up close, learns to dance and actually gets to see dogs, cats, horses, etc. for the first time outside of a textbook from her uncle’s library. She see-saws between trusting and believing Dal, Aya and the other members or believing in what she has been taught her entire life. Now the performers are on the run but trying to stay as inconspicuous as possible by keeping to their normal routine. It doesn’t take long for trouble to find them. But will it be in time before the Time of Trial? And will La’tiera trust the visions she is now seeing through the Eye and the knowledge supplied by Dal and the others; or will she sacrifice herself to save the world? She must decide between the Demons that she knows exists or the Four Gods, which she knows have left the world centuries ago. Willing Sacrifice (Zumaya Otherworlds) is Gloria Oliver’s third book. Her character development and dialogue is very realistic. Although it is a fantasy book, Oliver steers clear of the typical trappings of magic wands, spellcasting, et al. With the exception of the necklace that blocks the Eye the same way lead prevents Superman from looking through something, most of the story is based in a very realistic world that would’ve existed in the days of castles, horse-drawn wagons, traveling roadshows and fairytale princesses. The tale is a fun and relatively quick read at only 214 pages and is safe enough for teens and adults who don’t like a lot of bloodshed or cursing. It could use a little more action and danger, but the pacing is great and she keeps the story interesting. Check her book out at Zumaya Publications or find Oliver at a convention in Texas or the surrounding states. She’ll be the one with dark hair and a bright, friendly smile. La’tiera has spent her life locked away from the world. Her only human contact is with her uncle, Tih’ouren, and her maid, Mela. As the Bearer of the Eye, her life remains in danger from those who would stop at nothing to prevent her from doing her duty. 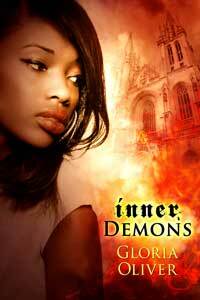 But La’tiera is determined to do what is expected and sacrifice herself to the demons to save the world. 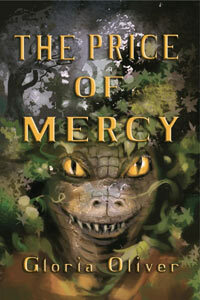 La’tiera becomes restless, so she’s delighted when a young girl sneaks into her garden without the guards noticing. They spend many afternoons playing like children and enjoying each other’s company. Then Aya spooks La’tiera by bringing Dal with her. La’tiera is drawn to Dal, and she talks to him, against her better judgment. He’s seen the world, and she’s hungry to hear about his adventures. As La’tiera nears her nineteenth birthday, a band of traveling entertainers—to which Aya and Dal belong—discover who she is and kidnap her. They claim that they’re saving her—and that she must live to save the world, not die. But who should she believe? These strangers whom she’s beginning to like, or the loving uncle she’s spent her entire life with? Willing Sacrifice is one of the best fantasies I’ve ever read. Filled with adventure, danger, and delightful characters—as well as a touch of romance—this novel will keep you reading long into the night. I literally had to force myself to put the book down so I could get some sleep. Rarely have I ever read such a well-drawn character as La’tiera. You’ll be able to feel her anguish and confusion as she tries to sort out the truth of her destiny. Often, such a character can be irritating, but Ms. Oliver handles it so well that your nerves will only be on edge because you’re wondering what La’tiera will choose to do. Willing Sacrifice will snare you from page one with its unusual plot and the promise of peril to come, and it just keeps getting better and better. I look forward to reading more of this author’s work. La’tiera was groomed for one purpose in life. She was isolated, pampered, and protected. Her world depended on her ultimate sacrifice, death. The time was near. A small child makes way for a change in La’tier’s life. The young woman craves companionship and gladly accepts the friendship of Dal, even though he was an outsider. Dal knows the truth; La’tiera’s death will bring evil and destruction, not the salvation she expects. He and his troupe kidnap her in hopes of revealing the truth. Her life is the key to salvation. Too often, we are loyal to an ideal without knowing why. 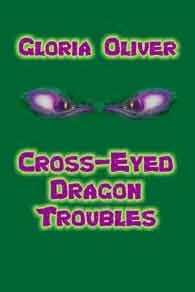 Gloria Oliver is a talented author. She allows La’tiera to slowly grow and mature. The characters are real to life. This fantasy is appropriate for YA. It will also appeal to adults. 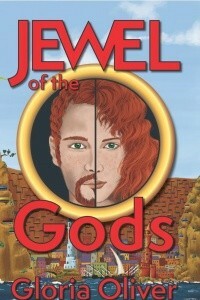 The plot moves along smoothly as the reader travels along with La’tiera and Dal. The characters are fascinating. All in all this is a delightful read, one that is easy to recommend.